Veteran physician informaticist and health information technology policy guru Dr. Paul Tang is going to work with Watson. The former chief technology and innovation officer at Medical Foundation/Sutter Health in Palo Alto, Calif., is now vice president and chief health transformation officer at IBM's Watson Health division. Tang announced the move in a blog post on the IBM Watson website. “I believe we are at a moment in history when simply improving what we currently do won't get us where we need to go,” Tang said. “We cannot change our position as a country with the world's most expensive healthcare producing such poor outcomes by simply improving upon our current system. It won't work." Tang says we need "disruptive innovation" and that requires collaboration between providers, individuals, families, payers, life sciences and technology companies. 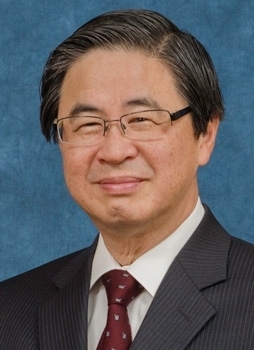 Tang is a five-time honoree on Modern Healthcare's annual rankings of the 50 Most Influential Physician Executives and Leaders. He has served as co-chair of the federally charted Health Information Technology Policy Committee and many of its subcommittees since its inception in 2009. The HITPC is an official adviser to the Office of the National Coordinator for Health Information Technology at HHS.